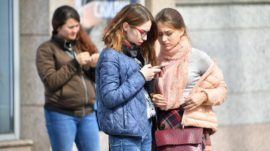 Internet freedom continued to decline over the past year in Russia, with bans and limits on information skyrocketing, according to a new report released by the Agora human rights group. Agora recorded 662,842 cases of internet censorship faced by Russian users in 2018 — nearly a six-fold increase from 2017 — according to the report published Tuesday. Censorship expanded from 26 to 41 Russian regions last year, the NGO said. Meanwhile, the report says violence against users and prosecutions for online activity declined between 2017 and 2018. “There were fluctuations for certain types of violations, but the general trend is definitely toward strictness,” the report’s co-author Damir Gainutdinov told BBC Russia.